The village of 35 houses is on the bank of the river Cothi with the surrounding area consisting of farming and forestry. There is an independant Chapel and St. David's Church and the Black Lion public house. In the 1960's the village won the best kept village in Carmarthen and the following year in Wales. The school closed in 1985, the shop and Post Office closed in 2001. 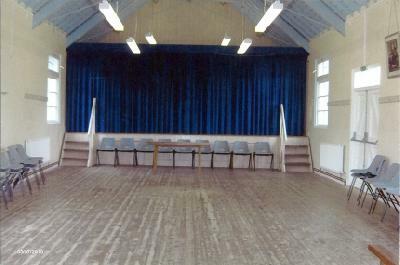 The hall was built in 1931 at a cost of £400. 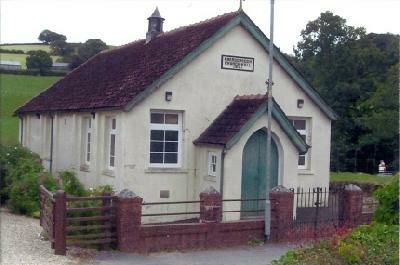 It has been used by the community, Merched y Wawr, Community Council, Sports and Senior Citizen Committee, Eisteddfod, Drama, concerts, parties and food during funerals. The charge for letting the hall is £10 per hour. The hall seats 120. Features include a stage, a kitchen to the rear and storage below. There is oil central heating. From Carmarthen head out of the town on the A40 towards Nantgaredig. Just before you get to Nantgaredig Village turn left onto the B4310. Carry on along this road until you get to Abergorlech. From Llandeilo head north out of the town on the A483, go over the roundabout and turn left onto the B4302. Carry on along this road until you get to a fork in the road. Take the left fork and join the B4337. Carry on along this road and you will get to a sharp bend. After this bend you will reach another fork in the road. Once again take the left one. You will have now joined the B4310. Carry on along this road until you get to Abergorlech.